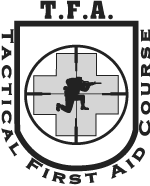 Tactical First Aid - S.E.I. This training was awesome! Can’t wait to be back on the mountain with S.E.I. next year. Tactical First Aid is designed to teach life-saving measures and techniques. Mirrors basic duties and functions of EMT-Intermediates and -Paramedics only on a much minor scale. TFA is designed to be “pick-‘n-choose” course of instructions; length of course is dependent upon client’s desires. Minimum class size is 10. See TFR for a fuller description. The TFA is designed to be “pick-‘n-choose” course of instruction. TFA prepares all non-medically-trained operators for the basis of the latest tactical/combat techniques and procedures. It instills medical confidence and understanding for the imposition of casualties on the battlefield. TFA is preventative medicine that each operator needs know for potentially compromising health hazards. It is self-care and buddy-care, thus, survival at the individual operators’ level.